SALEM, OR -- A bill to more strictly regulate college campus public safety agencies could go to a full Senate vote by mid-April. State Senator Tim Knopp (R-Bend) says the bill, known as Kaylee's Law, has bipartisan support both in the Legislature and the broader community, "The chiefs of police and the Sheriffs' Association, and many others, believe that this bill is the right way to address making it safer on our college campuses for our students, going forward. We want to honor Kaylee and her life by making sure that this never happens to anyone else." 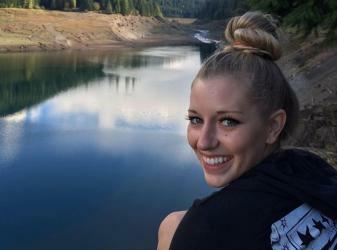 The bill is named for Kaylee Sawyer, a Bend woman killed in 2016 by a Central Oregon Community College Public safety officer who trapped her in the back seat of his patrol car. If passed, it would require campus security guards to distinguish themselves from sworn law enforcement and prohibit them from driving vehicles outfitted with cages and designed to look like a police patrol car. Knopp is the chief sponsor of the bill. He tells KBND News, "It's my job to make sure that we are addressing public safety, especially as it relates to students, in an appropriate fashion. And, it's clear that COCC failed in their duty to protect one of their students, and that clearly relates to the campus security operation that was there." He believes new legislation is the only way to prevent another tragedy, "Bend Police Department has worked- Chief Porter has tried to work with COCC and make sure the campus is safer for students and protocols are being followed, things like that. And it just hasn't happened, unfortunately. And so, we think that this legislation is the only option, at this point, to make students safer." He's optomistic the State Senate will pass Kaylee's Law, next month, and send it to the House.